London Fashion Week and A-lister favourite Osman are an established fashion house, based in a gorgeous 5-story townhouse in Fitzrovia that acts as an embodiment of the founder’s creativity and vision. Osman’s collections and creations are seen on catwalks around the world. 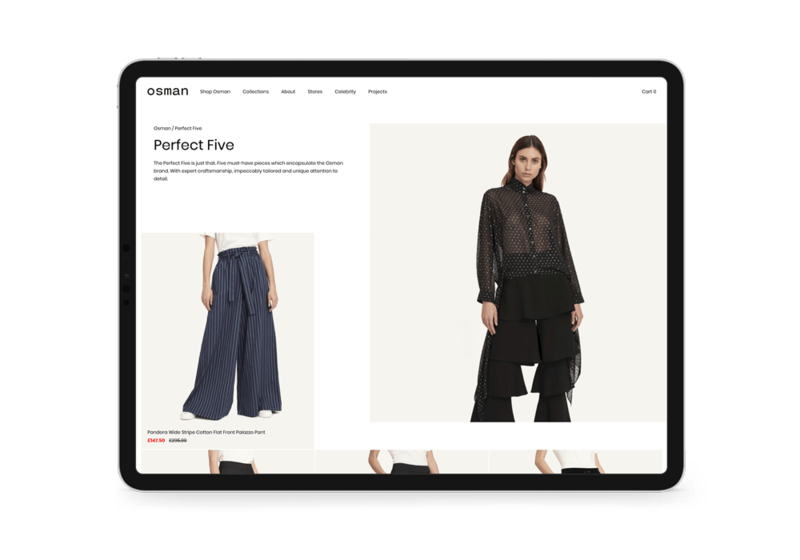 We were approached by Osman’s management to help them develop and execute a successful ecommerce strategy. The existing website had no ecommerce capability and wasn’t showcasing the label’s new aesthetic. The management wanted to showcase Osman’s collection to a wider audience and capitalise on press coverage while also making it easy for customers to shop for their ready-to-wear collection, called the Perfect Five. 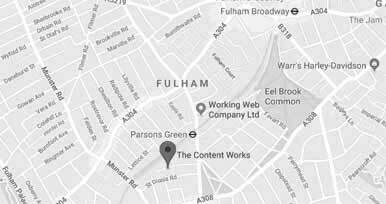 While the temptation was to match Osman’s peers and run a heavyweight ecommerce platform like Magento, which is robust, proven and feature-packed, we were concerned about how onerous Magento can be for a smaller team. Due to Magento’s ability at scale, it can become a headache for smaller organisations who want to move quickly and have less developer involvement in the day-to-day running of their ecommerce store. We discussed three platforms, Shopify, WooCommerce and Magento, their costs, merits and downsides. We picked Shopify, a capable off-the-shelf ecommerce platform, with low overheads that requires little to no maintenance, due to the fact the code is developed and deployed by Shopify themselves. We then benchmarked the competition and worked with the Osman team to establish the functionality required for their store. We produced a tight brief and contacted some of Europe’s top Shopify Experts to pitch for the build. Dutch Shopify agency Ask Phill were selected to build the store which was launched just 12-weeks after commission, using a site architecture devised by us to ensure maximum organic traffic.